How do I make contact with a teacher? You can phone or email the teacher using the contact details on the club directory on this website. Some clubs may also have a page on Facebook, Twitter, Google+, etc. If you decide to first go directly to a class, please arrive before the class starts, so that the teacher has a chance to talk to you. I am not very fit - can I still practise? Talk to your teacher and work within your limits. It is best to make your teacher aware of any health conditions. 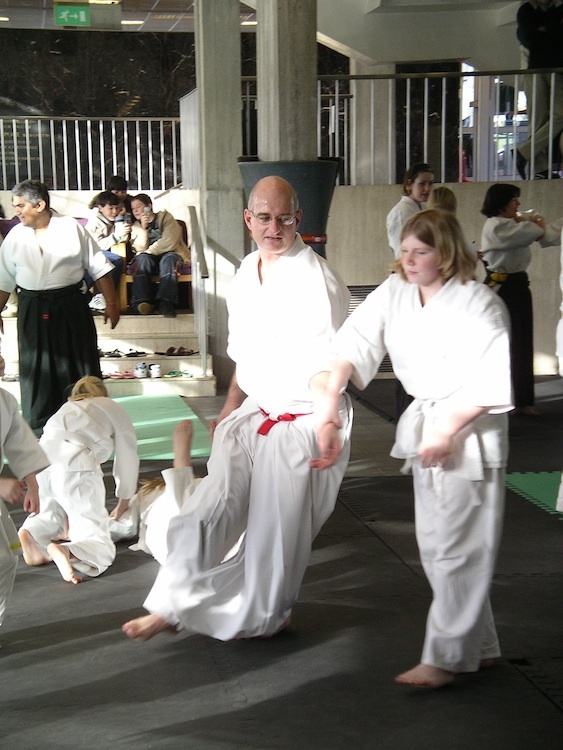 As a general rule Ki Aikido is meant to be an art that can be practiced by ANY age or ability. Aikido emphasises technique over muscular force. I have a disability – can I still practise? As above, the art can be practiced by almost anyone, but a Doctors letter stating that you are fit to practice will be required. I’d like to go and watch a session – is this possible? You are welcome to watch a class without having any obligation to join. You can always talk to the Teacher first. Most people watch one or more classes before deciding to start practicing. I want to start - when should I arrive for my first class? Now I’ve started, when should I arrive for the class? The majority of clubs need the students to arrive early to lay out the mats. In any case, it’s always best to give yourself plenty of time to get changed so that you can step onto the mat feeling calm and not rushed. If it is your first class wait until you have spoken to the teacher. If you have already joined the Club, and arrived late, just get changed quietly and wait by the side of the mat until the teacher calls you on. The club has lots of black belts and I am a beginner - should I worry? No don’t worry. The nature of aikido is to work in harmony with your partners. High grades are expected to treat lower grades with respect (and vice versa). You will be made to feel welcome and will benefit from practice with the higher grades. I need to leave the mat (go to the toilet, turn my mobile off etc) - what should I do? First ask the teacher for permission to leave the mat. When you return, wait by the mat until you are asked to come on. What should I do when the class finishes? 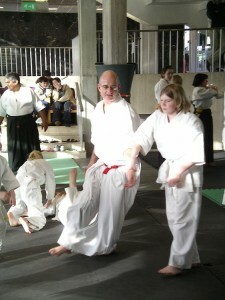 It is really helpful if students help to tidy the dojo by putting mats away or washing cups etc. Get changed promptly and keep your belongings arranged neatly. Can I have a checklist of clothing to bring for my first session? Soft comfortable clothing. Whether you wear a kidogi or soft clothing make sure it is clean. Flip flops or slippers to wear to the matt. You may bring a towel, or handkerchief in case you get hot and sweaty. A bag to keep your belongings neatly while you are on the mat practicing. Warm clothes to wear home after practicing. Can I have a checklist of things to do for my first session? Don’t forget some money or a cheque book to join the Ki Federation or pay for lessons. Cut your toe and fingers nail so that they are short and clean. Arrive early so that you can complete your membership registration and get changed. Turn your mobile phone off! Relax and enjoy the class. 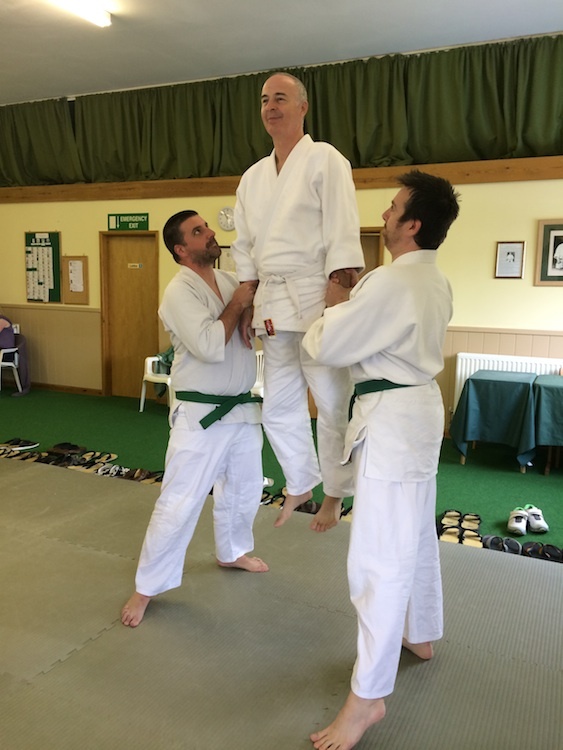 Why is it called Ki Aikido and not just Aikido? 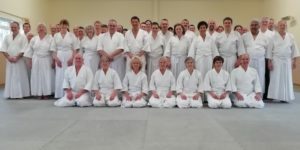 The Ki Federation of Great Britain emphasises the awareness and understanding of Ki both in our practice and our daily lives. 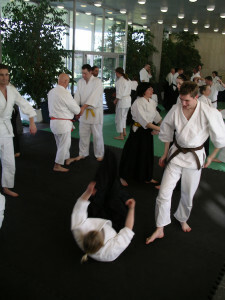 The prefix “Ki” is used to show this emphasis in our Aikido practice.